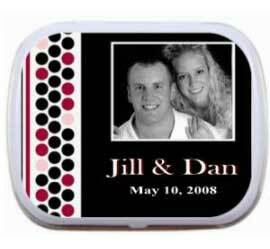 Party411.com offers a great selection of wedding theme mint and candy themes. 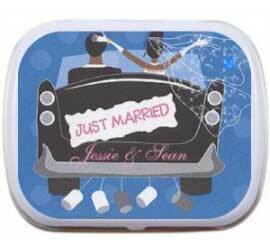 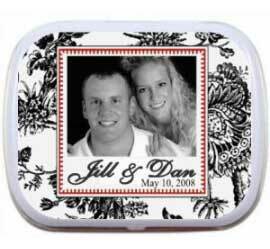 Whatever theme wedding you are planning on having from traditional to luau we have a mint tin for you. 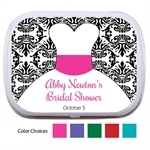 Celebrate the big day with a special favor! 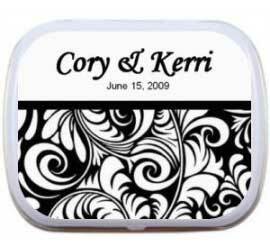 A sweet party favor to remember your special day. 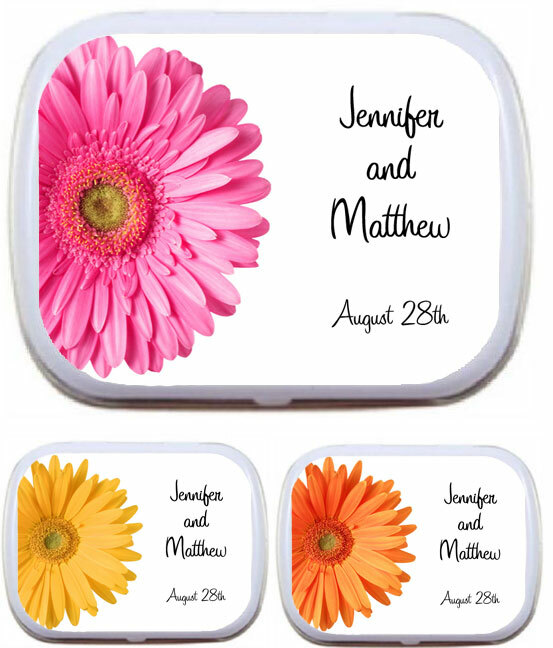 A sweet daisy theme favor. 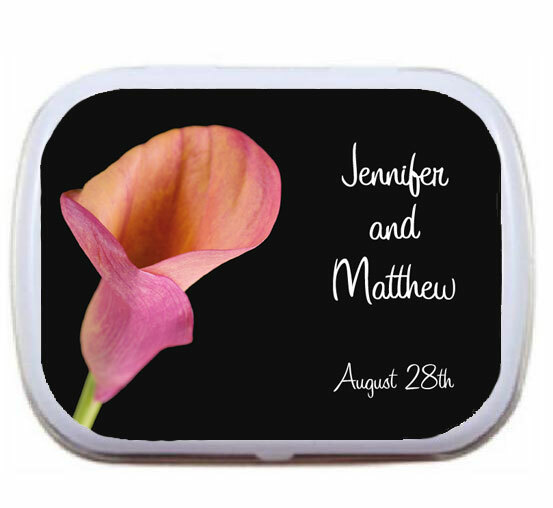 An elegant favor for your wedding. 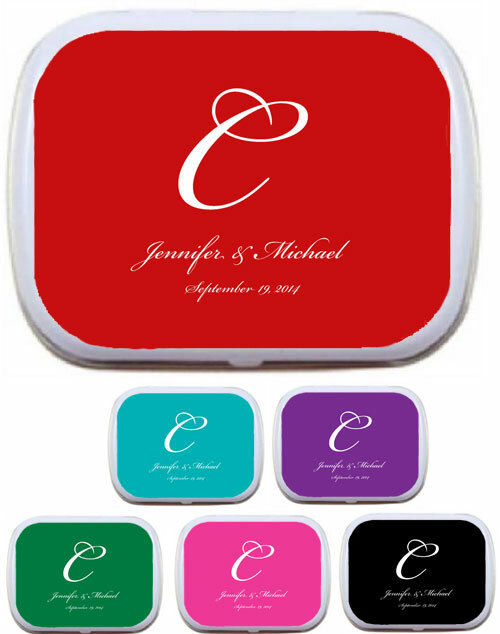 Spell out your love in a "sweet" way! 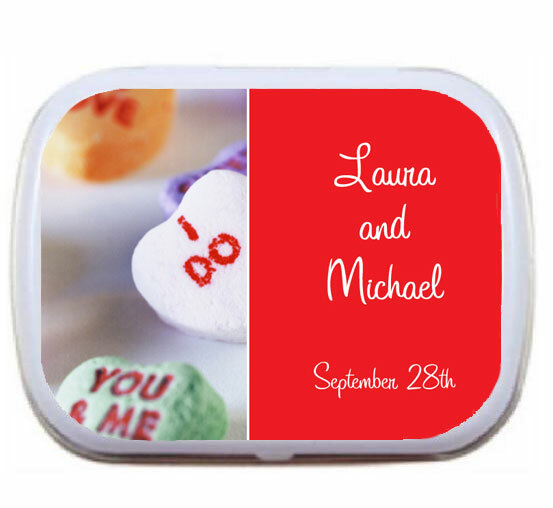 A "sweet" send off on your special day! 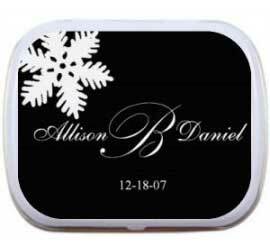 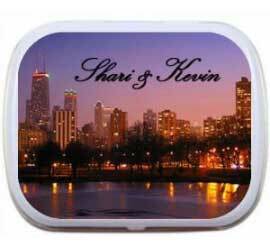 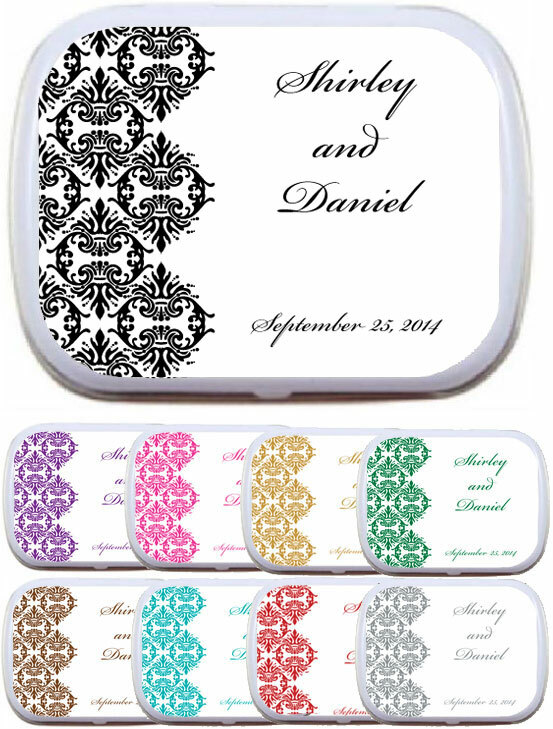 Beautiful black and white design for your favor tins. 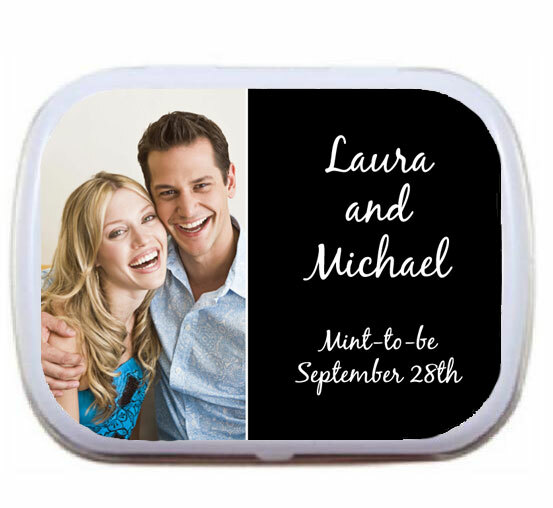 A sweet favor to remember your special day.